Over the next ten years, the federal government will invest $180 billion in infrastructure across Canada. In the next few months, MPs and Senators will vote on Bill C-344, which will allow a social value to be included in all of these investments. Let’s urge them to pass Bill C-344 to support healthier communities and a more inclusive economy. Bill C-344, an Act to amend the Department of Public Works and Government Services Act is currently entering its final stages of approval in Parliament. If passed and implemented, this bill will allow the Minister of Public Service and Procurement Canada to encourage local Community Benefit Agreements (CBAs) alongside every infrastructure investment. CBAs support local communities to ensure economic inclusion for everyone – no exceptions. They can create employment and apprenticeship opportunities for people who most need them, and generate business for social enterprises and local businesses. Bill C-344 will allow 180 billion dollars of federal infrastructure funds to be leveraged for a social value and generate positive impact for local communities. 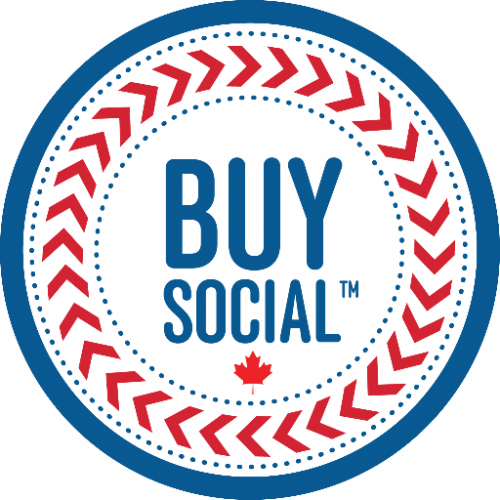 Buy Social Canada is an organization that brings socially driven purchasers and social enterprise suppliers together, building business relationships that generate social benefits to communities across the country. Buy Social Canada works with community, private sector, and government to support the development of policy and resources to strengthen local and regional social procurement initiatives. For more information about Buy Social Canada does, visit their website. This campaign is hosted by Buy Social Canada in partnership with Imagine Canada and the Canadian Community Economic Development Network.